Here are some previews of our fantastic trade finding search tool, MarketMatcher, which has been receiving rave reviews across the betting community as it goes about it’s merry business of finding potential profitable football matches to trade on. You can choose from preset searches using our top strategies included within the site. Or make you own custom searches to find what games find your criteria. Either way this will save you hours manual work, giving you more time to spend on further game analysis, as well as turning up selections you may have otherwise missed. 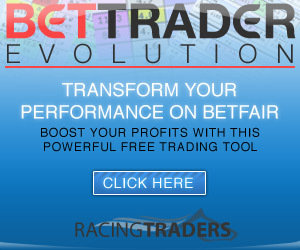 The software is now fully “live” on the site for use for all our members, who are making money using it day in, day out.